An autograph dated May 29, 1945 given by my grandfather Lundquist to his son Richard (my uncle). I never knew my grandfather – he passed away on May 28, 1979 when I was just one year old. However, I heard so many wonderful things about him while growing up. Recently, I stumbled upon a short life history he wrote in 1976. Enjoy! 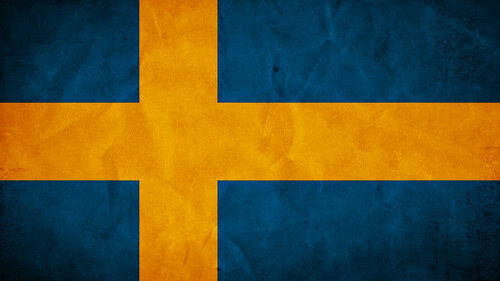 I was born in the home of my father and mother, Eric Benjamin Lundquist and Eugenia Harris Lundquist. My elder brothers are Milton R., Charles H., and Eugene B. Lundquist. Two other brothers followed me and their names are Ebert Maurice and Rodney Earl Lundquist. I had no sisters. My father was a painter, paperhanger, gold leaf expert, and sign writer. He also owned a paint store and sold lots of wall paper. He was also a fine musician and was leader of the Cache County Band. He played Cornet and Trombone and arranged music. My mother was a soprano singer and a pianist. She also taught piano. I was born of goodly parents of whom I am very proud and love dearly. My grandmother, Katherine Sarah Perkes Harris was my patron saint whom I loved. She was responsible for schooling me in philosophy – hers of course. After I learned to walk, I remember going to grandmother’s house in Hyde Park, Utah. It was there that my uncle Kirk would play records on the phonograph. The type of music he would play was classical, such as Bach, Beethoven, and other renowned composers. He also had a collection of performances by Enrico Caruso, John McCormick, and Galli-Curci. He loved music and so did grandmother Harris. They also had a player piano which I pumped until I was so tired that I ended up asleep. My mother or father would carry me home asleep after a marvelous time at grandmother’s house. My childhood was wonderful. A boy could not have had better parents and surroundings. In 1917, war clouds were forming in Germany and men were being called up in Smithfield to serve in the military. I remember all of the men marching to the train. We followed them and I remember everybody crying. My father furnished a marching band and my mother sang “A Flag Without a Stain” for the soldiers. My uncle Mont sang in a quartet and they performed the song titled “Tenting Tonight in the Old Camp Ground.” Everyone was very sad on that occasion. Kaiser Wilhelm was hung in effigy in the center of town. In 1918 at the age of 8, I started selling the Liberty magazine and the Country Gentleman and I also delivered the Salt Lake Tribune and the Deseret News. My dad kept us busy and at a young age, each one of us had to sew, press pants, wash clothes, clean the house, and work in the gardens surrounding the home, which was about an acre in size. We also painted and sold wall paper in the shop. My mother had the best flower garden in town. She was an expert in tatting and crocheting. She won blue ribbons at the fairs for her quilts. Dad entered produce from the gardens in the fair and won some ribbons. Mother and father were the choir leaders in the LDS Church, 1st Ward, for as long as I can remember. First mom and then dad. Mother played accompaniment for dad as he conducted the choir. Mother sang for over 500 funerals in her lifetime and was musical director in Mutual for years. I was called on to play parts in Mutual productions and road shows. When I was 4, my father was called to serve a mission for the Church of Jesus Christ of Latter-day Saints to Milwaukee, Wisconsin, for a period of six months. My mother was left with 4 sons and had to fend for herself. I was always up to date on the news as a result of being a newspaper boy, especially the news of the war with Germany. I was a little worried about the spear helmeted Germans. Then the war was over and the soldiers came marching home again and there were victory celebrations everywhere. At the age of 12, I was ordained a Deacon and started a career in the Church (ending up as a Seventy in Los Angeles). At this age, my father encouraged me to play the alto saxophone in his band. At age 14, I took up the trombone. 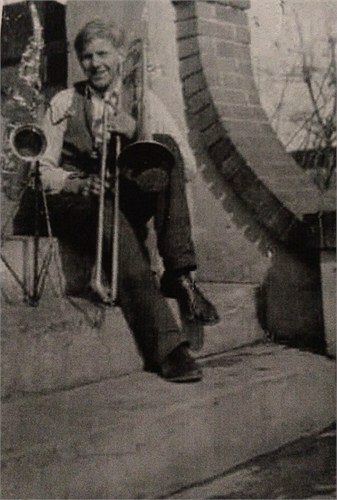 My brother Eugene played the piano and with me on trombone, we were already playing for dances. At age 16, my father gave me an E-flat alto saxophone which I learned very fast from an instruction book. By now, I was going to North Cache High School in Richmond, Utah. I rode a streetcar there and back every school day for 3 years, a total distance of 14 miles round trip. I was the freshman class president, sophomore class president, junior executive member and senior class president. I ran for student body president, but lost to Howard Pond. While a junior and senior at North Cache High, I played piano for the noon day dances and received 25 cents each day. This provided me with lunch money for the cafeteria. I graduated from North Cache High School in 1928 along with 82 classmates. School was a wonderful and fun experience. I left home at age 18 after graduation to seek my fortune. I took a job in American Falls, Idaho as a musician playing the saxophone. This was in July and by September, I had joined a road show from Joplin, Missouri. I was a dancer doing buck and wing and clog dancing which I had learned years before by going to the Pantages Vaudevilles in Logan, Utah. Also, I took dancing lessons from Beth Thurber School of Dancing for two years. I ended up in Stockton, California in October of the same year and soon landed a job with KWE radio station. I played piano along with a young man named Ernest Thery. We each had a grand piano to perform our act – 2 pianos. I played saxophone with the Hotel Wolfe Orchestra and played piano at the “Milk Bottle” in Stockton. Then came time for Christmas (1928), so I rode a train home because I was homesick. 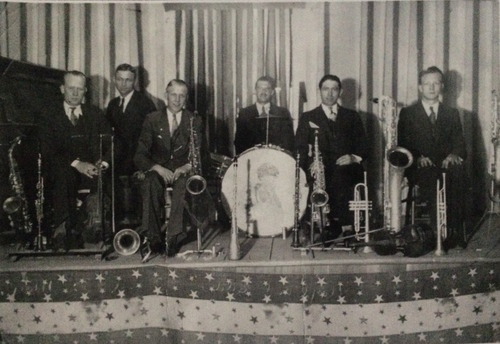 I played saxophone with Wit Wilson’s Band at the Old Mill near Logan and also with the Palador Orchestra. 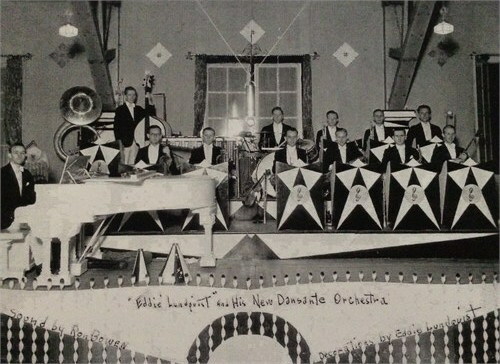 I finally organized my own band and named it “Eddie Lundquist and His New Dansante Orchestra.” I also had a combo and played at the Blue Bird Café in Logan for private parties. I met Erma Funk when I was in the 9th grade in about 1924 and married her in November of 1930. We were blessed with 3 children, Edwin R., Richard R., and Bonnie Jo. I enrolled in College in 1930 at Utah State University and was able to complete two years there. I was majoring in science and my goal was to become a Pharmacist. I became a member of the Sigma Chi Fraternity. It was there at Utah State that I had the first big orchestra. We played every Wednesday at noon and put on a free show for the student body to advertise the band. I was active in social events and musical productions such as the “Twelfth Night.” I wrote the music for a musical called “Kampus Kaprice.” We put on the production in the auditorium of Utah State and it turned out to be a big hit. I directed the music and the 12 piece orchestra. The production, which was a musical comedy, was called “Steamin Hot” and received many favorable comments from Salt Lake critics. I was a dancer and was called upon to dance on many stages over the years. I always had a good time dancing and entertaining. In 1933, I left college and went to Durango, Colorado with a 6 piece band. I played the saxophone and trombone. I taught dancing there. The band went broke and we had to come home. I purchased a home in Logan, Utah and lived there until 1936 at which time we moved to Los Angeles, California. We located in an apartment near Georgia Street in downtown Los Angeles. We moved from rental to rental and finally purchased a home on Saint Elmo Drive (4710) in 1942. We lived there until 1959 and moved to Lakeview Terrace West in the Silver Lake District of Los Angeles. I became engrossed in Church work at Wilshire Ward and La Brea Ward in the Los Angeles Stake. In 1941, I became a licensed painting contractor in the state of California. I played in bands and combos in the Los Angeles area for years. In 1937, I performed in a jam session with Benny Goodman at the Paradise Club in downtown Los Angeles. My principle work was painting and decorating. I named my company “Lundquist Decorating Company” and to the date of this writing, it is the same company. I played music for 3 or 4 nights per week for years. The sessions usually lasted from 9:00 PM to 2:00 AM. This was an enjoyable time for me because I was able to make music and maybe make some people happy. In the meantime, I was a Stake Missionary for years, in the Sunday School Presidency, one of the seven presidents of the 274th Quorum of Seventy in the Los Angeles Stake, a teacher in Old Testament classes for 10 years, and I led the singing in church for years. I was a scout leader while Edwin and Richard, my sons, were getting their Eagle ranks. I went on hikes and attended all the scout meetings. I was called by the Church to serve a Labor Mission in Hawaii for 3 years after our son Edwin passed away in December of 1955. I served there from 1956 to 1959. The Lundquist story begins on February 9, 1834 with the birth of my second great grandfather Karl Gustav Lundquist. Karl was born in Luckebo, Lerbeck, Socken, Sweden. 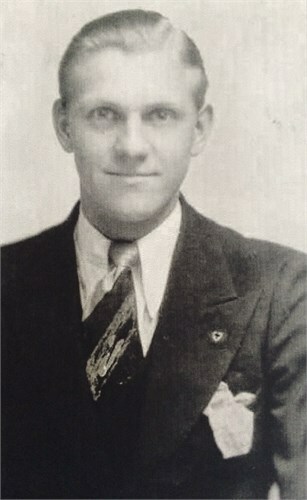 Karl’s original surname was “Larsson;” however, as Swedish families typically changed their surnames, Karl and his brother Johannes took upon themselves the surname of “Lundqvist.” It is believed the brothers did so as Lund, owned by Count Wachtmeister, was the biggest estate in the parish of Lerbeck. Karl, Johannes, and their sister Anna Lisa were orphaned at an early age. 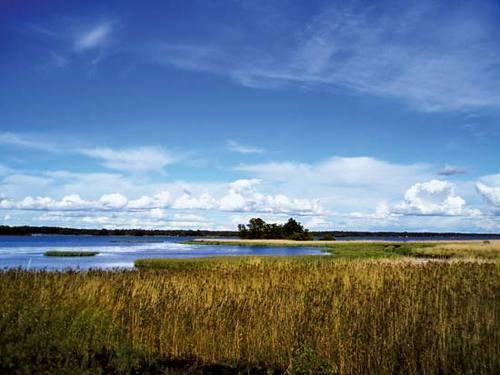 On or near December 1, 1834, Karl’s father, Lars Johan Olsson, drowned in Lake Hjalmaren. Karl’s mother, Anna Maja Andersson, died on March 14, 1835. At an early age, Karl worked as a farmhand until he moved to Amneharad. It was there that he met Karin (Carolina) Ersson, my second great grandmother. 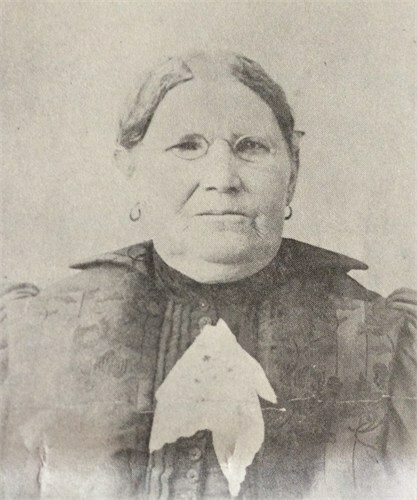 Karin was born on September 12, 1832 in Lekvettnet, Socken, Varmlands, Sweden. On November 20, 1857, Karin and Karl were married. 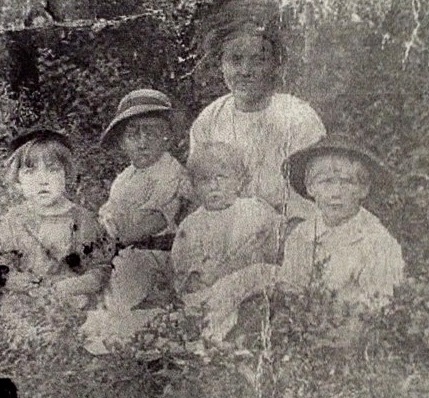 Karin and Karl had nine children: Huldah Maria, Victor Gabriel, Johannes, Aron William, Alexander George, Emanuel Richard, Charles Emil, Eric Benjamin (my great grandfather), and Hilma Augusta. He (Olaf Olafson) being in the habit of going (driving) to the Flour Mill and passing always by our place would occasionally stop in and talk of Mormonism and Utah (Zion), mother being the only one in the family who apparently gave any attention to the same. About a year later, however, after the death of my father, we had sold our farm and all things belonging to it for some 4,000 crowns (Krawns), and prepared for journeying across the waters. We started about the 26 of Aug., 1881 for Gotteborg, and the following day Mother, Charle, Benjamin, Hilma and myself were baptized into the Church by Elder A. G. Johnson at the above named city. We arrived about a month later at Logan, Utah, and remained there for a number of years. About this time Victor, Aron, and Alex came from the East and joined us, and were also baptized into the Church of Jesus Christ of Latter-Day Saints, but have not up to this time (1921) taken any further interest in it, (excepting Ben who lives in Smithfield, Utah) they, with Hulda, having preceded us emigrated to Illinois. Hulda, Charles, Aron, Victor, and Hilma later made their homes in California. It was the practice of Mormon missionaries during the 19th Century to advise converts to join church members in America. As told by Emanuel, the Lundquist’s settled in the Logan, Utah area, specifically Hyde Park. 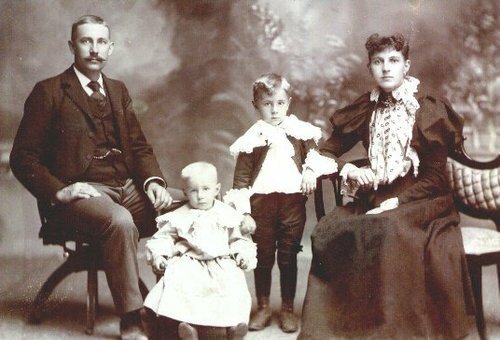 It was there that my great grandfather, Eric Benjamin Lundquist, met and married Eugenia Harris. Eric and Eugenia lived with Karin during the first few years of their married life. Karin always called Eric Benjamin “Benny.” Eric and his wife eventually settled in Smithfield, Utah, which is about three miles north of Hyde Park. On January 4, 1910, Eric Benjamin and Eugenia welcomed a baby boy into the world – my grandfather, Harold Edwin Lundquist. I have so much to tell you about him, so be on the lookout for many more stories. My grandfather and his family ultimately moved to Los Angeles, California, where my mom was born. One of my favorite pictures! From left to right: Aunt Saundra, Aunt Bev, and my dad. Such a classic picture: Saundra, Beverly, my dad, and Steve. This is the story of my great grand aunt, Mahalia Hunley. While researching the siblings of my great grandfather Harrison, I was instantly drawn to Mahalia’s unusual name. Apparently, Mahalia means the “tender one” in Hebrew. Mahalia, who went by “Haley,” was born in September 1889 in Lawrence County, Kentucky. On November 12, 1908, at the age of 19, Haley married George Albert Miller. According to Haley’s daughter Roxie, Haley’s brothers did not approve of George and sent him on a “wild goose chase” from which he sickened and never returned. George died of tuberculosis in April 1911, one week before Roxie was born. In addition to Roxie, Haley had a son named Kelly Miller, also known as “Dolly.” After her husband’s death, Haley worked in a restaurant in Louisa, Lawrence County, Kentucky. She would bring food to Roxie and Kelly that the restaurant customers left on their plates. On September 29, 1914, at the age of 25, Haley died of a hemorrhage. 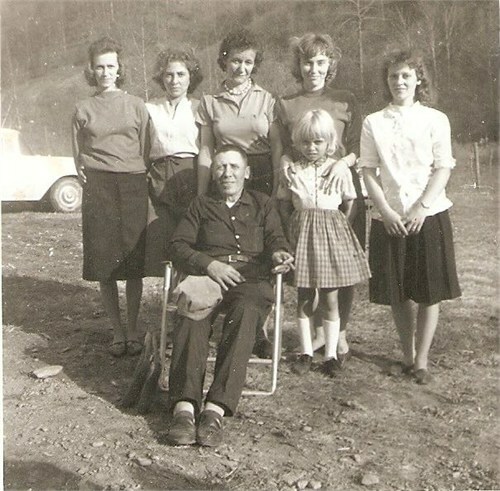 After Haley’s death, Roxie and Kelly lived with my great grandfather Harrison in Betsy Layne, Floyd County, Kentucky. However, Harrison had been injured in the coal mines and was unable to keep them. 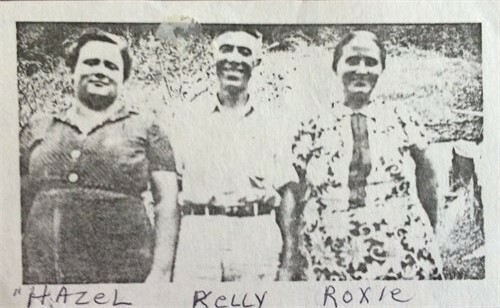 Therefore, Roxie and Kelly were raised by their uncle, George Mullins and his wife Mindy. 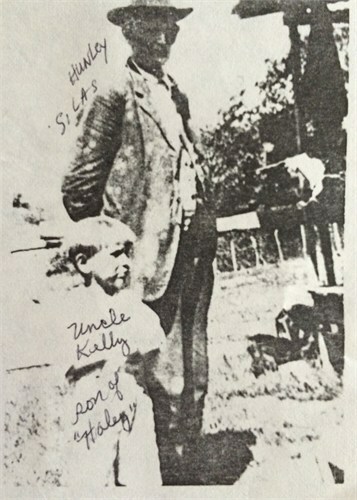 My great, great grandfather Silas Hunley and his grandson Kelly Miller. Kelly (center) and Roxie Miller (right) as adults. Hazel Daniels, the woman on the left, is Kelly and Roxie’s half-sister. She was raised in Virginia. 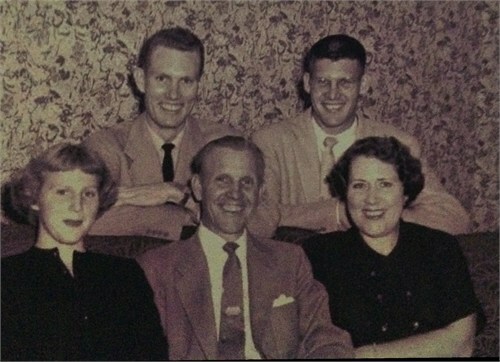 Kelly Miller, his wife Myrtle Burke, and their daughters. For 131 years the submarine remained undetected, entombed in sand and sediment 6.4 km off the coast of South Carolina’s Sullivan Island. Then, in 1995, author and adventurer Clive Cussler, with a team from his National Underwater and Marine Agency, was rewarded for persistence after a 15-year search. That search was conducted in partnership with the South Carolina Institute of Anthropology and Archaeology. Dragging a magnetometer through the water, the explorers located the sub preserved under one meter of silt, in water 8.5 m deep. The vessel, covered in concretions from 6.4 mm to 19 mm thick, was found intact, lying on its starboard side at a 45-degree angle. (CNN) — Born and built amid gray-cloaked secrecy during the American Civil War, the H.L. Hunley — the first submarine to sink an enemy ship — has held tight to its murky mysteries. 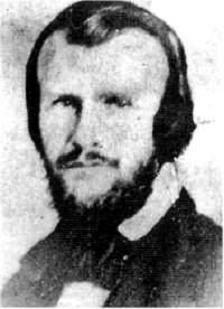 This is Horace Lawson Hunley. Horace is a cousin of one of my direct ancestors. Horace was born on June 20, 1823 in Sumner County, Tennessee. Although born in Tennessee, Horace was raised in New Orleans, Louisiana where he eventually practiced law and served on the Louisiana State Legislature. Horace was a staunch supporter of the Confederate States of America and sought ways to improve the war efforts. Horace’s love of marine engineering ultimately led to the design and construction of the Pioneer, an early submarine. In February 1862, the Pioneer was tested in the Mississippi River and was eventually transported to Lake Pontchartrain for additional trials. The Pioneer was abandoned around the time the Union Army advanced on New Orleans. Horace moved to Mobile, Alabama soon thereafter and began working on another submarine called the American Diver. Horace experimented with electromagnetic and steam propulsion but eventually settled on a hand-cranked propulsion system. Unfortunately, the American Diver sank in the mouth of Mobile Bay during a storm. Yet Horace did not give up. 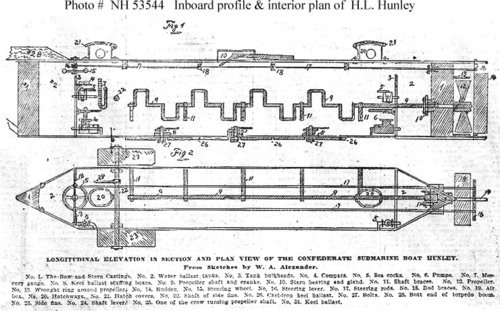 In 1863, Horace began construction on another submarine named after himself – the H.L. Hunley. 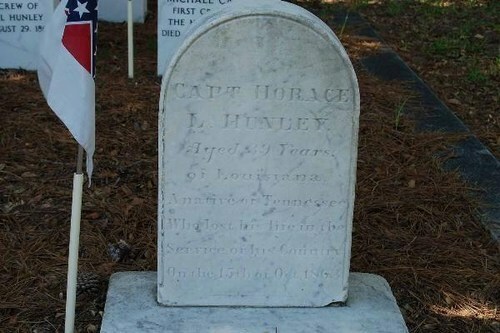 On October 15, 1863, Horace and seven other crewmen were killed during a mock attack when the H.L. Hunley failed to surface. The Confederate Navy recovered the vessel and returned it to service. Horace was buried at the Magnolia Cemetery in Charleston, South Carolina. On the night of February 17, 1864, the H.L. Hunley attacked a Union ship called the USS Housatonic. However, for reasons not yet known, the H.L. Hunley sank to the bottom of the ocean along with the Housatonic. The H.L. 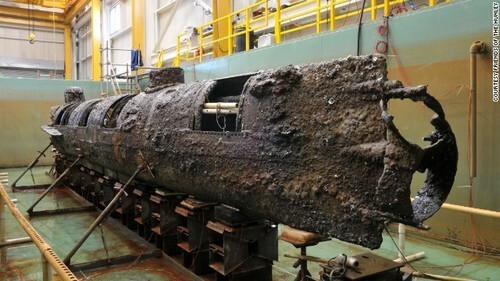 Hunley was lost until it was recovered on August 8, 2000. Pictured on the right is Shade Hunley (1886-1919), one of Silas Hunley’s sons. Shade was sheriff of Hazard, Kentucky. He had a metal plate in his head from World War I. 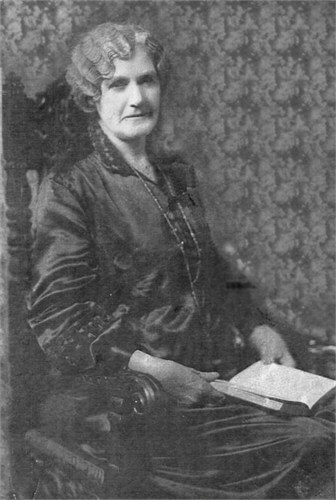 Shade was killed in 1919 by a prisoner. My grandfather was named after Shade.